Mold are fungi that can be found both outdoors and indoors all year round. 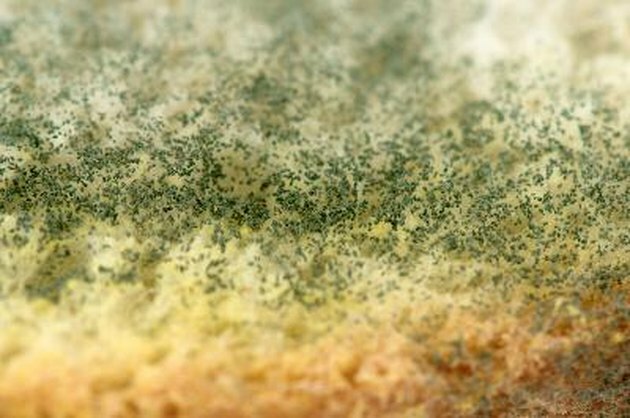 Mold can appear in a variety of colors, including black, white and green. Mold can result in several adverse affects and thus mold growing on cardboard should be dealt with immediately. Mold produces spores to reproduce itself. These spores can grow on almost any surface, including cardboard, provided the spores have moisture, nutrients and warm temperatures. Consequently, mold often appears in bathrooms, kitchens and attics, where there tends to be warm, moist air. Mold can stain and cause infected items to deteriorate. In addition, mold can produce a musty odor. More seriously, exposure to mold can cause respiratory problems, nasal and sinus congestion, eye and skin irritation, sore throat, coughing, and asthma attacks. Children, the elderly, pregnant women and those with existing respiratory sensitivities are particularly at risk of suffering adverse health effects from mold exposure. Mold cannot be completely removed from porous surfaces, such as cardboard. Consequently, these materials should be removed and discarded, advises North Dakota State University Agriculture and University Extension. Before discarding, mist the cardboard with a soapy cleaner. This will help prevent the mold spores from dispersing into the air and causing mold growth in other parts of your home. When dealing with mold, it is best to limit your exposure. This can be done by wearing long rubber gloves, eye protection without ventilation holes, an N-95 respirator mask and clothes that can be laundered immediately afterward. Moreover, the cardboard should be placed in a plastic bag, sealed and immediately discarded.